Variable rate irrigation (VRI) uses unique field prescriptions (Rx) to apply precise amounts of water to match numerous variables within each field. Multiple prescriptions can be created for each field using our VRI tool that comes with the RPM Touch Screen panel, or by contracting a third party to conduct highly precise surveys to determine soil variables and define topography. You’ll then be able to load each Rx into the touch screen panel with a USB drive and immediately verify that everything is running properly. 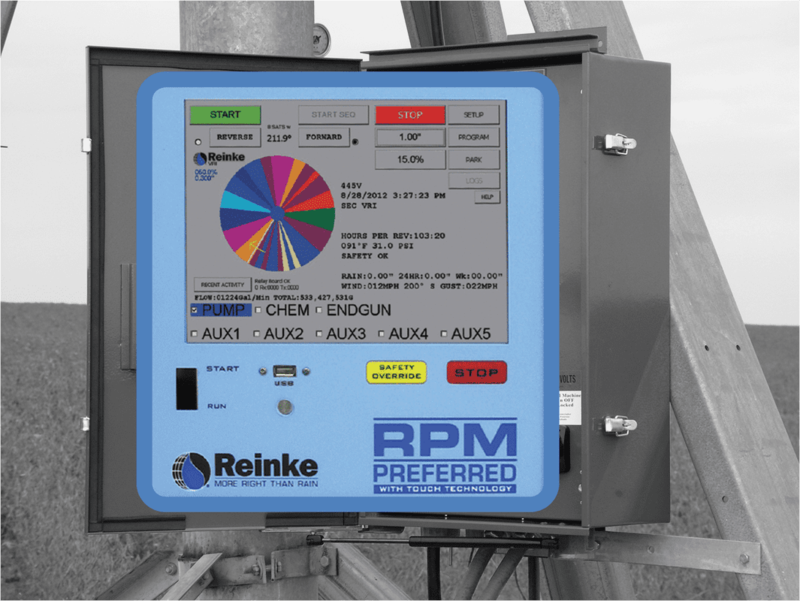 Reinke was the first to successfully introduce GPS technology into the control and management of center pivot irrigation systems in 2002. Reinke was also the first to introduce touch screen technology to the pivot irrigation industry in 2009. Now Reinke is the first in the industry to integrate variable rate irrigation (VRI) with Touch Screen control and ‘end-of-system’ GPS. If you already have a Reinke Touch Screen control panel and Navigator GPS, you can get started using VRI without any additional components. Speed VRI is economically accomplished by segmenting the pivot path into multiple pie-like slices (sectors). Each unique irrigation depth is accomplished by altering the pivot speed at each slice. 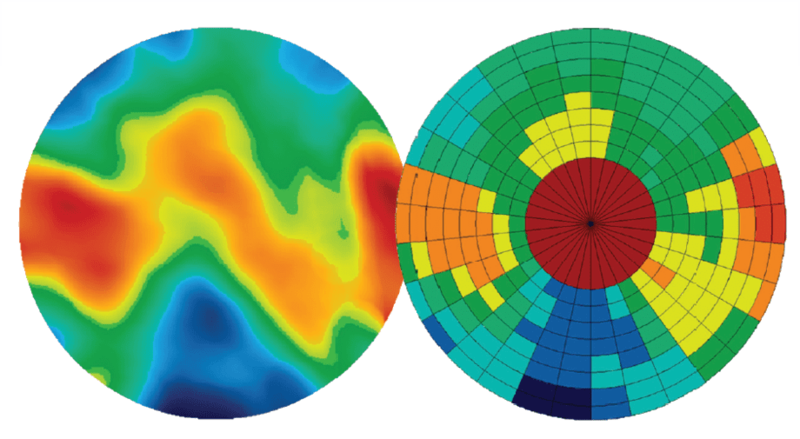 The Rx may concentrate on the outer 30% to 50% of the pivot circle, which accounts for 50% to 75% of the total area within each slice. Each slice can be accurately proportioned down to one tenth of a degree (3,600 increments), to provide maximum control of the water being applied. Base Application depth can be easily adjusted higher or lower without changing the Rx. 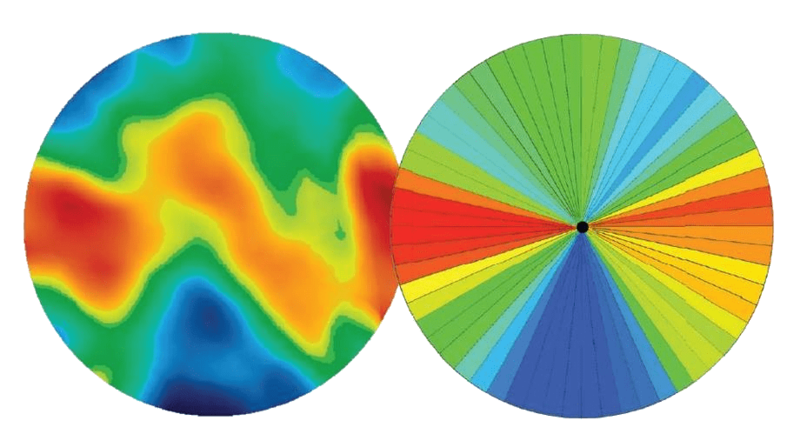 Zone VRI divides the pivot coverage area into two or more rings (zones) around the pivot point. Reinke VRI can control as many as 84 zones. When combined with the segmenting sectors, an even higher level of precision is made possible by the creation of several to more than 300,000 independently managed zones within the field. Irrigation rates are achieved through individually controlled sprinkler banks, allowing an almost unlimited number of precision water application combinations. Variable Frequency Drive Pumps may be required and are recommended to minimize pressure fluctuations from the changing rate of system flow resulting from turning a large number of sprinklers nearer the system end off at any one time. Additional components are required for Zone VRI including independently controlled sprinkler valves, sprinkler control valve boxes and air compressor. The Reinke VRI Rx program software is available for use with every RPM Touch Screen panel to allow each grower the ability to personally create all needed irrigation prescriptions. Field information in the form of JPEG images representing yield data, soil variations, terrain changes, etc. can be used to determine the percentage of water to be applied at any location within the system coverage area of the field. Variable Frequency Drive Pumps may be required to minimize pressure fluctuations from the changing rate of system flow resulting from turning a large number of sprinklers off at any one time. Additional components are required for Zone VRI which include independently controlled sprinkler valves, sprinkler control valve boxes and air compressor. Third Party VRI optimization software requires the use of a professional service to gather soil, elevation data and other hard data to create multiple, extremely accurate prescriptions while also providing the ability to determine the approximate return on investment of both Sector and Zone VRI. In just a few steps, your field topography goes from raw data, to a final prescription running on your RPM Touch Screen control panel. 1. Collect Field Data - First, an electrical conductivity and RTK GPS elevation survey is conducted to determine topography and soil variables that are then stored as a high-resolution map of the field. These surveys are available through local independent soil sampling services. 2. Identify Field Variability - The mapped field data can then be processed and analyzed by Precision Data Specialists, such as CropMetrics. They will identify factors related to water holding capacity, yield productivity, and specify the optimum locations for soil moisture monitoring in order to optimize the irrigation scheduling. 3. Optimize VRI Applications - Specialized agronomic software tools are then utilized to generate Speed VRI or Zone VRI prescriptions to optimize the water application. Precision Data Specialists will then continue to assist you throughout the growing season with additional prescriptions as needed.